It’s somehow already the summer holidays, a time of ice creams, cloudy beach trips, endless episodes of Ben and Holly’s Little Kingdom, the Olympics, Snapchat filters and...oh yes, school holidays! Something that doesn't necessarily impact on me too much, just yet. Daycare closing for a week or two means hyper toddler and shattered Wife, much less traffic on the roads to and from work, tropical temperatures in the office and endless people walking into you in Cardiff Bay as they chase a Blastoise. 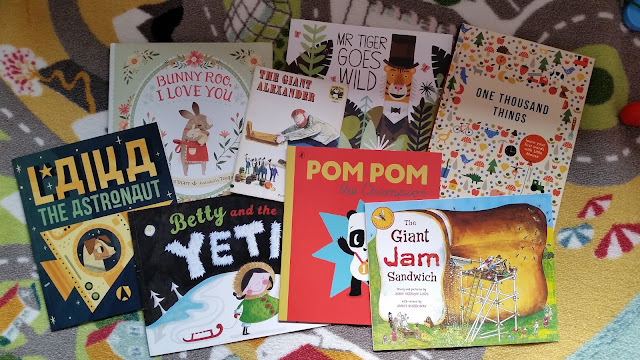 Early morning and evenings are however an ideal time to wind down the rampaging two year old with a mountain of books, so weekly library trips are a must. We have been blitzing through some great new reads, some old favourites and many, many...many books about bears. On a quick count at home we have fourteen books about bears...only just noticed! There's bearly (I went there) a shelf without three on in our house. Perfect for sunny afternoons in the garden or wet weather reads huddled under a blanket I hope to include as many as possible over the next couple of weeks as we read, read and re-read them each and every day. Keep an eye out for our first read very soon! Oh you teas! - Which chai to choose? Troll Swap & Shifty McGifty - Two Hurricane Half Term Reads! My personal favourite spicy masala chai recipe - You've got to chai this!